ULAANBAATAR, Mongolia/UNITED NATIONS, New York – When Myasuren Batjargal announced she was pregnant at age 44, her family and friends were distraught. They thought she might not survive. Ms. Myasuren had long suffered from serious hypertension and a disability related to spinal problems. Health workers agreed the pregnancy was high-risk, but Ms. Myasuren was determined. “I know it’s going to be difficult, but I really want this baby,” she told staff at the hospital in Khovd Province. Specialists were available in the capital, Ulaanbaatar, some 1,500 kilometres away, but traveling that far would be gruelling and costly. Fortunately, there was an alternative: an award-winning telemedicine project enabled her doctor, Nyamkhishig Jigmeddorj, to work closely with a team of experts in the capital at the National Centre for Maternal and Child Health. “It is very helpful in making correct clinical decisions, especially in complicated situations,” Dr. Nyamkhishig said of the project, which is operated by the health ministry, with support from UNFPA and funding from the Government of Luxembourg. Ms. Myasuren’s baby, a girl named Oyunchimeg, was born on 1 October 2015. Both mother and baby were healthy, and Ms. Myasuren’s family was elated. 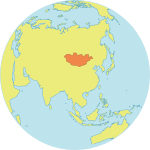 Mongolia is a vast but sparsely populated country. Unpaved roads, harsh winters, long distances and high transport costs often make it impossible for women with difficult pregnancies to access medical specialists in the capital. To address these issues, the telemedicine project was launched in 2007. 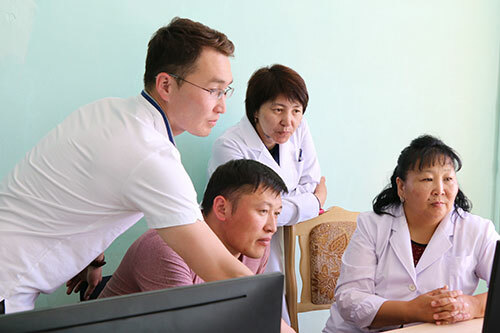 It connects medical personnel around the country, allowing the transmission of medical data for analysis, and enabling provincial doctors and patients to engage in teleconsultations with specialists in Ulaanbaatar. Since its launch, the programme has reached at least 60 per cent of all pregnant women, including over 1,800 cases of pregnancy-related complications. Maternal deaths have declined significantly since the project’s launch. In 2005, some 95 women died out of every 100,000 live births in Mongolia. By 2015, that number had dropped by more than half, to 44 women per every 100,000 live births, according to estimates published in a joint United Nations report. In fact, Mongolia was one of only nine countries to achieve the Millennium Development Goal on reducing maternal deaths, according to the report. Official government figures go even further, indicating the number had fallen to 26 deaths per 100,000 live births. The programme also equips provincial and rural doctors with the skills to diagnose and manage serious complications, with trainings covering everything from fetal diagnosis to surgical procedures. 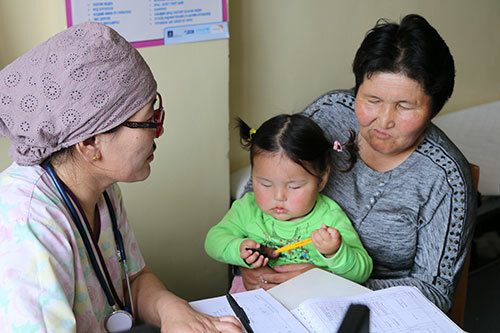 Within 10 years, over 70 per cent of all gynaecologists and obstetricians in Mongolia had received training through the telemedicine project. 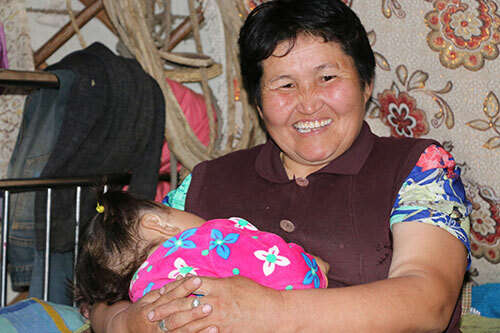 For example, Dr. Nyamkhishig, who manages all high-risk pregnancies at the Khovd Provincial Hospital, has received training in emergency obstetric care. Dr. Tsedmaa Baatar, of UNFPA, has worked on the project since its earliest days, developing widely used training programmes. Her focus is teaching real-world skills and procedures. “Knowledge without skills does not help patients,” Dr. Tsedmaa said.